If you’re an entrepreneur, it’s important that you learn from others. There are countless resources out there that are available to you, meaning that if you’re trying to go forward with blinders on, you’re hurting your chances of success for no reason. 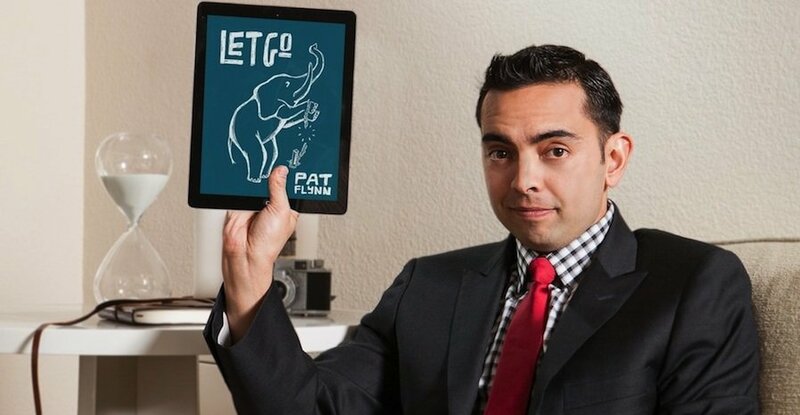 One really great resource to learn from is Pat Flynn’s “Smart Passive Income” podcast. Aside from being the host, Flynn also has quite the entrepreneurial story of his own. The beginning of Flynn’s entrepreneurial path is one a lot of people can probably identify with, especially over the past 10 years or so. After graduating from University of California-Berkley with a degree in architecture, Flynn found a job in his field and was seemingly on the right path. He had put down stakes in San Diego and even began a family. On top of that, he had started studying for the LEED exam, which would only help his prospects as an architect. Then it happened. He was laid off. His paycheck was gone and, at first, Flynn didn’t know what to do. This part of the story is relatable to many. What he did next, though, is something more people should strive for. If you asked Flynn, he’d probably say that getting laid off was the best thing that ever happened to him. To help with his studying, Flynn had been keeping notes online, essentially in a makeshift blog. What he didn’t know originally was that a small army of architects were leaning from his writings. Eventually, this came to his attention and he was prompted to turn his notes into an e-book. After its unbelievable success, Flynn also did an audio book. With just his e-book, he made $8,000 the first month it was available. It was this original fluke that showed Flynn the power of what was possible online. Instead of just going forward with his one product or creating a number of others, Flynn decided to take his knowledge and share it with the world. For five years now, Flynn has amassed over 160 episodes of his podcast. It’s been downloaded more than 11 million times. It’s constantly featured in the top five business podcasts on iTunes. The one thing that has helped set Flynn apart from other e-commerce gurus is how open he is about his experience. Every month, you can visit his site and see how much he made the month before. His income report even breaks down how he did it. There are a few takeaways to gain from Flynn’s story. First, what seems like the worst day of your life may actually be the beginning something far better if you let it. Second, try to start a company that is in your wheelhouse. Flynn went with something he knew and his success came because he understood his product backward and forward. Lastly, don’t be afraid to help others. Flynn has mentioned countless times that many of the opportunities he has received have come because he is constantly releasing podcasts that give away all his secrets.